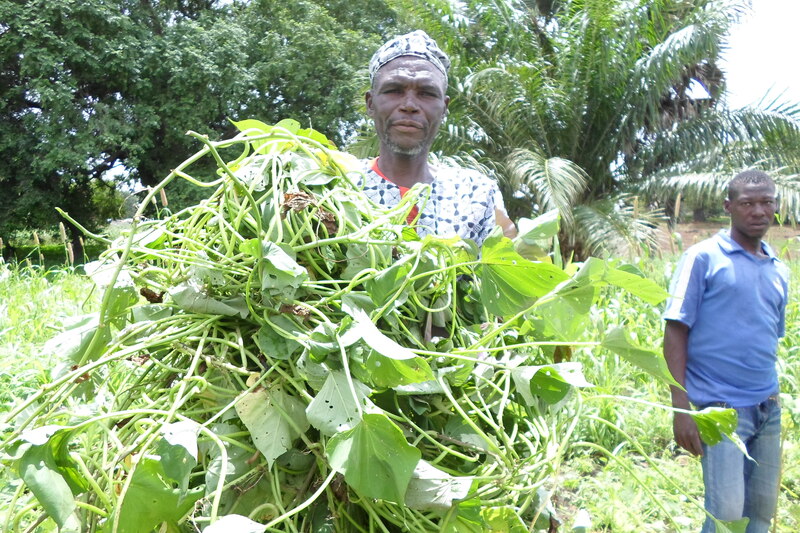 A nutritious Orange-Fleshed Sweetpotato (OFSP) variety is growing in popularity and becoming an important strategy to improve vitamin A deficiency which remains a public health problem, especially in Northern Ghana. OFSP is being disseminated by Trax Ghana with donor and technical support of Self Help Africa (@selfhelpafrica) and International Potato Centre, CIP (@Cipotato) respectively. The OFSP was introduced on a pilot basis to 50 farmers in the Pelungu community in 2013 and scaling up to 100 farmers in Pelungu and Kabusgo communities in 2014. Currently, Trax Ghana is promoting the OFSP among 1,200 farmers in the Nabdam and Bongo districts and eight (8) second cycle institutions, all in the Upper East of Ghana. Trax Ghana extension staff work closely with farmers’ groups, schools and other parties to ensure widespread OFSP availability and sustainability. Trax Ghana believes that if enough people receive the vines, plant them, and take good care of them, the bio-fortified OFSP variety can become well-established across Northern Ghana. 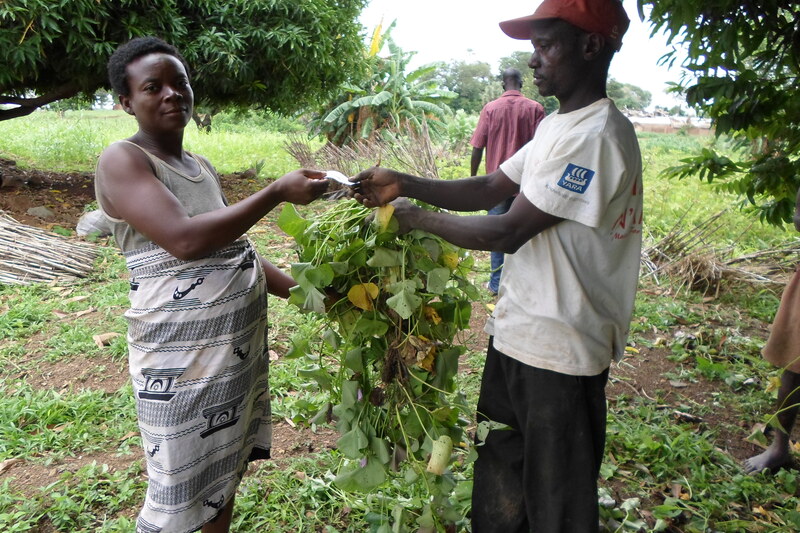 Trax Ghana with technical support of CIP, Ministry of Food and Agriculture (MOFA) – the Women in Agricultural Development Directorate (WIAD), provides information and training to farmers and schools on how to conserve the potato vines from season to season. 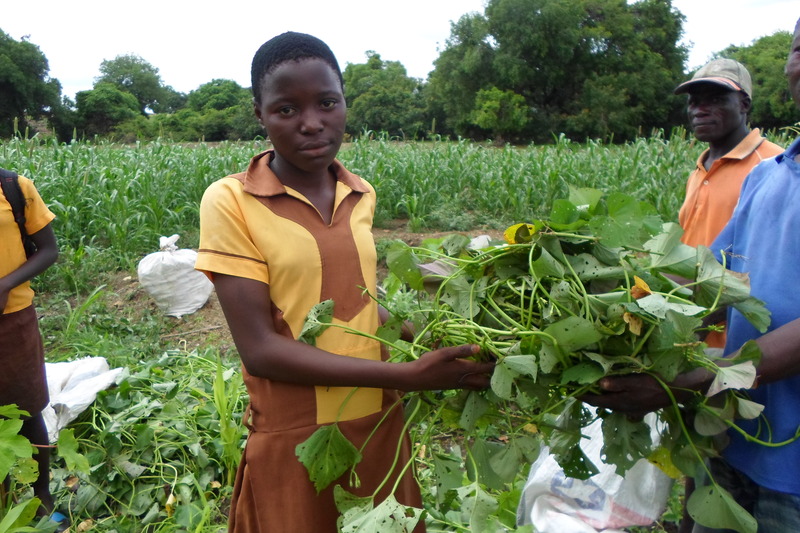 Nutrition training is also offered to the farmers and schools. Families and schools learn how to prepare the potatoes, which contribute to the nutritional needs of young children and pregnant and breastfeeding women, as a component of a balanced diet. Trax Ghana and its collaborators intend to work proactively to link OFSP farmers to markets. Traders are educated about the nutritional benefits of OFSP and rapport is being built between the OFSP farmers and traders. Trax Ghana also intends to work with larger, commercial farmer groups (to plant the OFSP on more than 1 acre of land) as hubs for marketing. This is to ensure that OFSP gets to the market so everyone can access them, holding much promise for both farmers and families as the crop’s popularity grows in Northern Ghana. To reap the benefits associated with orange-fleshed sweet potatoes, production of clean quality planting material is important. Though many causes are to blame for low productivity, unavailability of quality planting material is the most important. 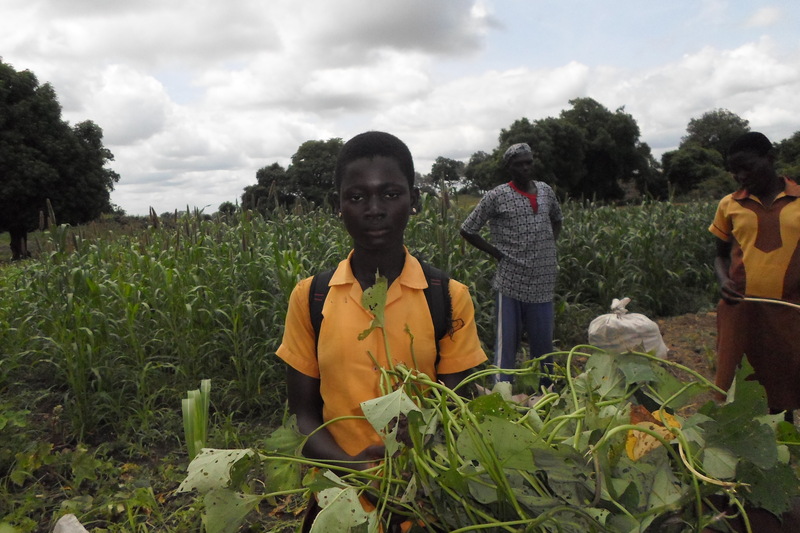 In the light of this, Trax Ghana extension staff identified and established OFSP seed (vines) multiplication sites in communities and schools for rapid multiplication and distribution of vines to project farmers and schools within a shorter period of time. This entry was posted in Agriculture, Alternative Livelihoods, Climate change, gender equality and tagged alternative livelihoods, Children, Northern Ghana, Orange Fleshed Sweetpotato (OFSP), Pregnant women, Selp Help Africa. Bookmark the permalink.